Occasionally at work there might be an *emergency* at home, with family or friends, that you’d rather not tell your boss about. Perhaps you’re not feeling well, or you’ve made plans to catch up with friends so you want to go home and get ready, you’d like to leave work early but you also don’t want to look like you are being lazy. Here are some excuses people have used in the past to get them out of that tight spot and leave work without too much fuss or drama. Some people do have quite a fear of storms, so if the skies look black you can always say you need to get home before it hits, you just couldn’t cope with being on the roads or out in such bad weather. You have out of state friends or relatives visiting, and you’ve just found out they will be arriving sooner than expected and you need to pick them up or meet them somewhere. Being ill is of course one of the most common (and oldest) excuses for going home and works well for most employees (as long as they don’t get sick every Friday evening). Saying you have a migraine, some bad stomach pains or a headache and you need to go home or see a Doctor. A home emergency is also a good reason to leave work in a hurry, suggesting a neighbour has rung and a broken water pipe is damaging your home sounds quite genuine and a boss normally wouldn’t suggest you stay at work. A forgotten dentist appointment – or emergency dental appointments are great ways to cut work early. If you are in pain and have managed to get an appointment this afternoon, which if you miss means a few more weeks of waiting will have your boss in a sympathetic mood. Children – if you have any – is often a good excuse to leave early, getting a call to say your child is ill or injured, or child care arrangements have been changed, hubby can’t pick the child up from school, or the baby sitter has had to leave urgently and you need to get home as soon as possible. Furniture delivery is a handy and not often questioned excuse – you have ordered furniture which was to be delivered later in the day, but it’s on its way to your home now and you need to be there to let the delivery driver in. A friend or family member has an important event on such as an engagement, surprise party or wedding on that evening and you need to leave work early to be able to attend. Perhaps it’s the next day – but you need to travel too far to make it there and need to leave from work early and travel straight away. And finally the need to attend a funeral – while not the classiest excuse ever – make a note of who you said died (having the same person pass away twice is not smart) – it will get you those few hours off work that you wanted. 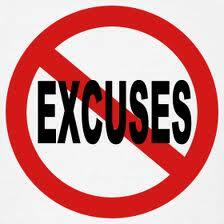 What excuses do you use to get off work early? Do you have any funny stories to share about being *caught out*?